Show your team pride with this "Silhouette" panoramic photo mint! 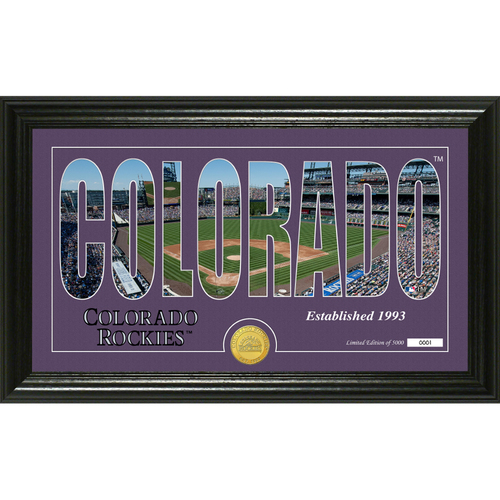 This 12" x 20" frame showcases a photo of your team name shown with the ball park set in the background! Inserted below the image is a 39mm minted commemorative team coin. Limited edition of only 5000 and officially licensed by the MLB. Proudly made in the USA by The Highland Mint.